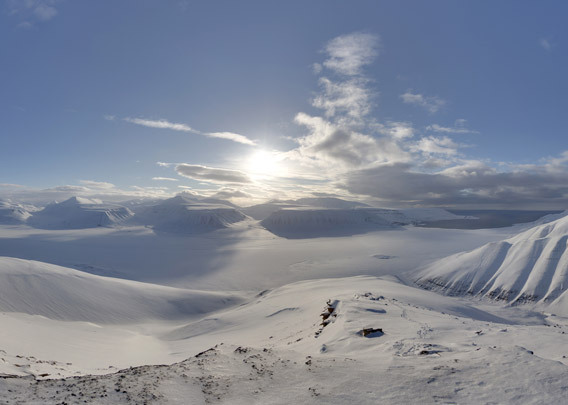 There is a mountain on the north side of Adventdalen, 7 km east of Longyearbyen. It is called Operafjellet, because it has got a natural amphi theatre. The tenor is center stage, like Pavarotti. Behind him, there is Dirigenten (the conductor), and a bit more in the background, basso and soprano, as it should be. The tenor is 656 m high. The music that is being played here is arctic silence, twelve voices, sometimes in major, sometimes minor, as you please, on and off, with the rhythm of timelessness.